OK, so how’s this work? Simple, you whip the cream until it turns into butter. No, really, that’s all there is to it. I used a pint of cream, but you could use whatever you want. I believe you’re to expect half the cream to turn to butter, and the other half to turn to buttermilk. So if you want so much buttermilk, use twice as much cream. I also didn’t salt my butter until it was done. This took a lot longer than described online. The Internet lied? NEVER! So, just be patient. But also, be warned. I read that ultra-pasteurized cream will not break. I’m not sure if that’s a lie, too. Or if it’s true, why it’s true. 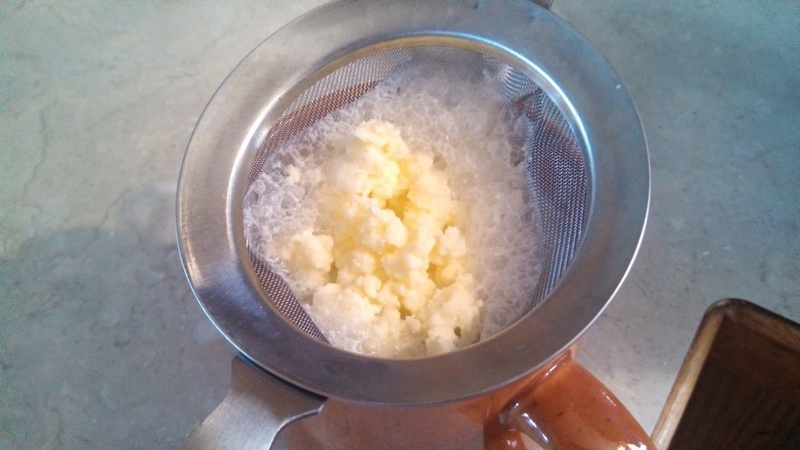 Ultimately, I’d love to make butter with raw cream, but am not sure if I can get it anywhere in Wichita. I know I can go to Jako in Hutchinson. I just haven’t been there, yet. First, you get foamy cream. Keep on keepin’ on. Then, you start to see light whipped cream. Keep going, my friend. Then you start to see good peaks forming. This stage lasted a really long time. This is good if you actually want just whipped cream. But was slightly maddening for me. You can see bits of butter, and at first what looks like water. The “water” is splattering and foaming at the same time. OK, the liquid is spraying all over and it’s a mess. This is where I stopped and decided to strain off the buttermilk that had been released so far. I just strained through the strainer I use when making bone broth. Worked perfectly. 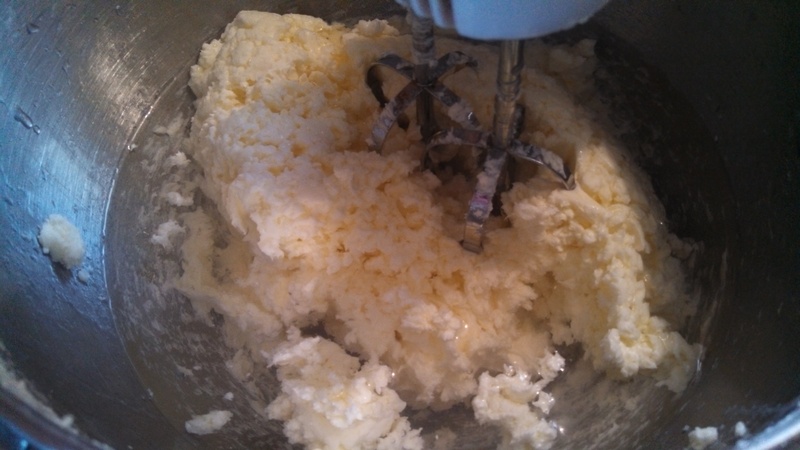 Dumped the butter bits back in the container and kept running the hand mixer. Release butter milk, strain off. Continue until I wasn’t getting any more liquid. 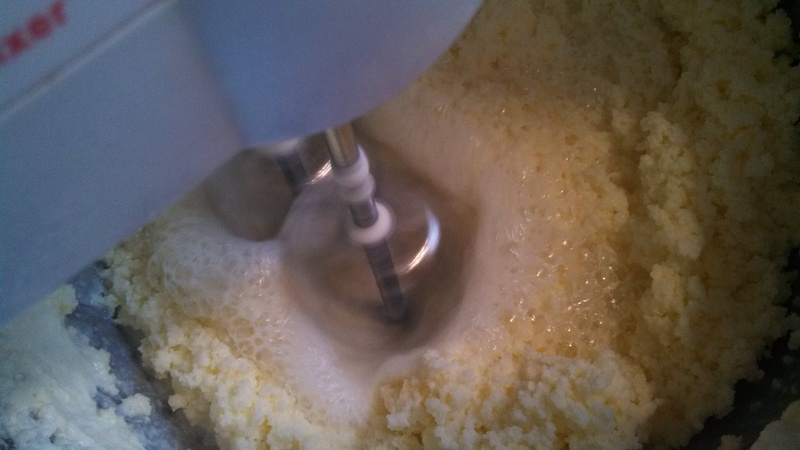 At this point, you want to “clean” the butter, which means pulling the remaining buttermilk off. 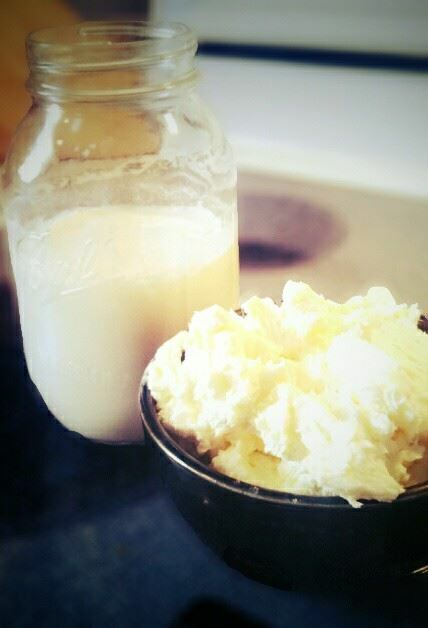 According to the Internet, this increases the “fridge life” of the butter from 1-2 days to 1-2 weeks. Yes, please. All I did was add really cold water (out of the tap) to the butter. I read to add water and ice and do this by hand. But I just added really cold water and used my hand mixer. Add water, mix, drain off water. You will have cloudy water at first. Keep adding, mixing and draining until your water is clear. Success! I wish I’d weighed my butter and measured the buttermilk. I used a whole quart (4 cups) of milk. And I came away with 1 ½ large coffee cups (which I think is close to 3 cups, but I might be wrong) of buttermilk. 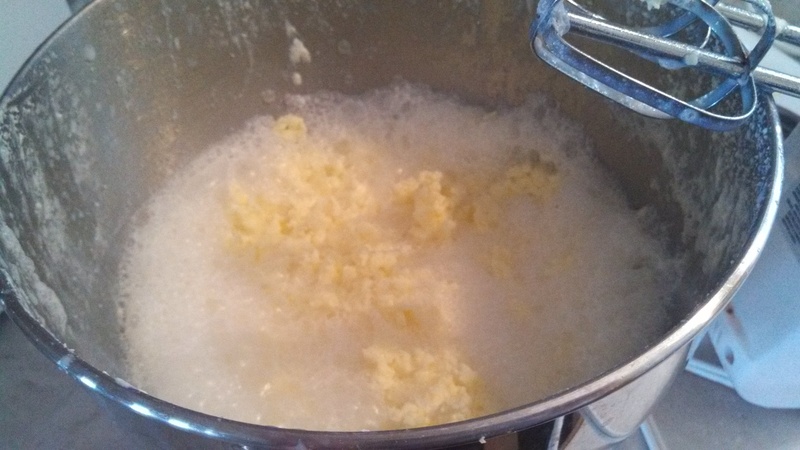 And a heaping bowl (probably 1 ½-2 cups) of butter. That math doesn’t really add up. 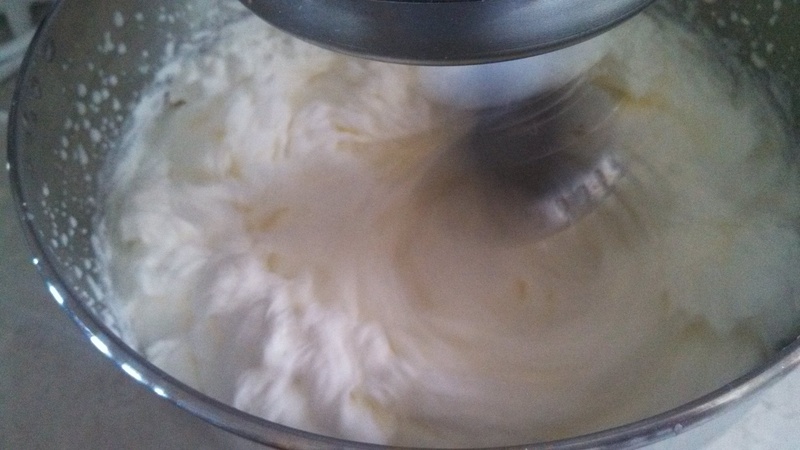 Your buttermilk output will depend on how much you get off of the butter before cleaning it. And your butter can grow in size because you’re whipping it. From what I hear, I can freeze this butter. Even if it lasts 1-2 weeks, it won’t be enough for me to use it unless I start making baked goods (which isn’t out of the question). I’ll probably freeze it in smaller (4Tbsp) portions. And I’ll probably make buttermilk and butter again. It was kind of fun, very rewarding, and resulted in some pretty delicious products. 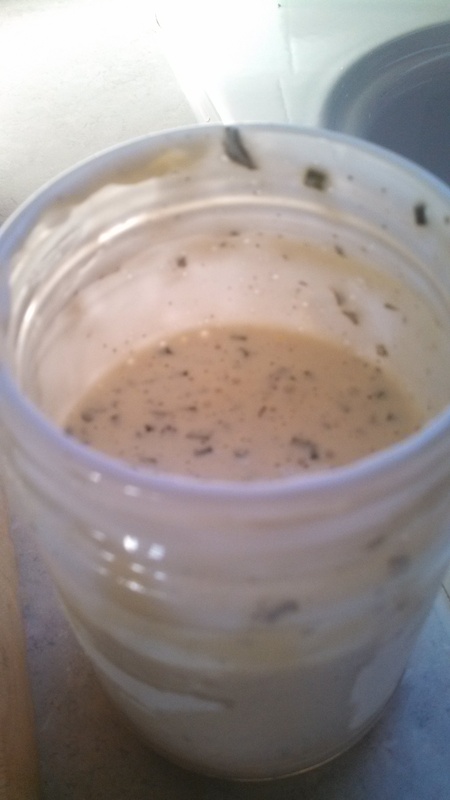 While I’ve earmarked 1/2 cup of the product for ranch dressing (see below! 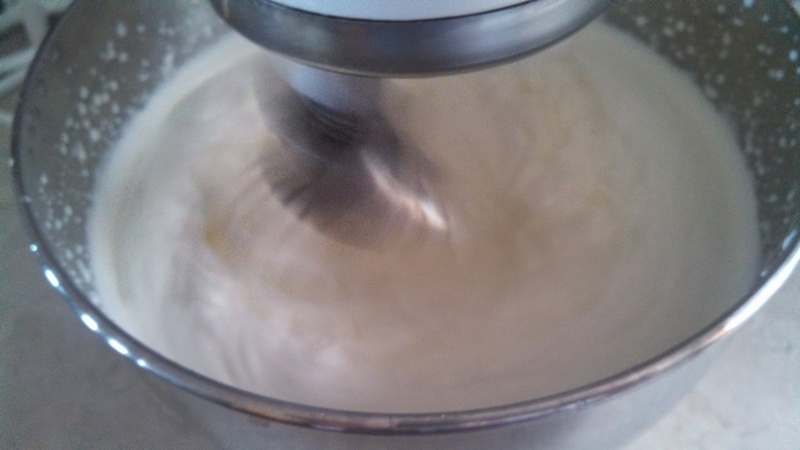 ), I’m also working on what else to make with the buttermilk. First thing that comes to mind is buttermilk pancakes. But we’ll see what else I come up with. I mentioned ranch dressing. Yes, I made homemade ranch. And while I did use store-bought mayo (homemade mayo only lasts a few days and I wanted salads for the week), my goal was to avoid that pre-made Hidden Valley Ranch packet. No offense Hidden Valley. Well, OK, maybe offense. I don’t want all the other “crap” in the packet when it sounds like you can replicate it pretty easily on your own. I used this recipe almost exactly, except I used dried spices and added a bit of lemon juice. Directions: Whisk together. Store in a glass container. Enjoy! 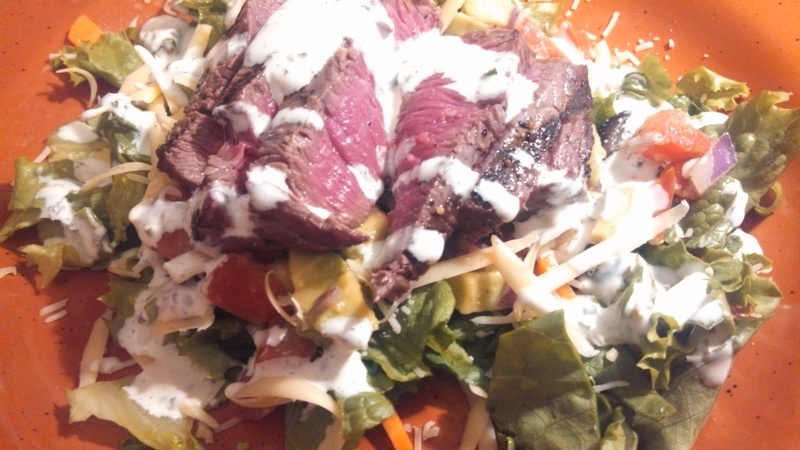 The salad the dressing was made for. I used organic green lettuce (the leaves not the head), organic green onions, a pico made of tomatoes, red onion, avocado and lime juice, black olives, chopped organic carrots, and fresh grated cheese. Perfection! 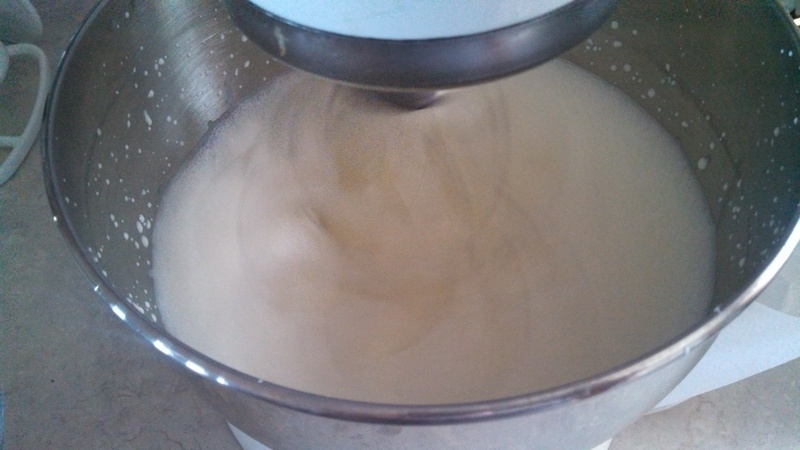 I give you a high 5 for making your own buttermilk…that took some work and hope your Kitchen Aid is still working.